I think tacos might be one of the easiest meals to throw together for an easy weeknight meal. You grab some Old El Paso Taco boats (I picked mine up from my local Safeway), your choice of protein, and then go crazy with veggies or fruit (yes, you can have fruit tacos!). We decided to just be kinda old school (Old El Paso, old school, get it?) and do traditional tacos with some of our favorite easy toppings! 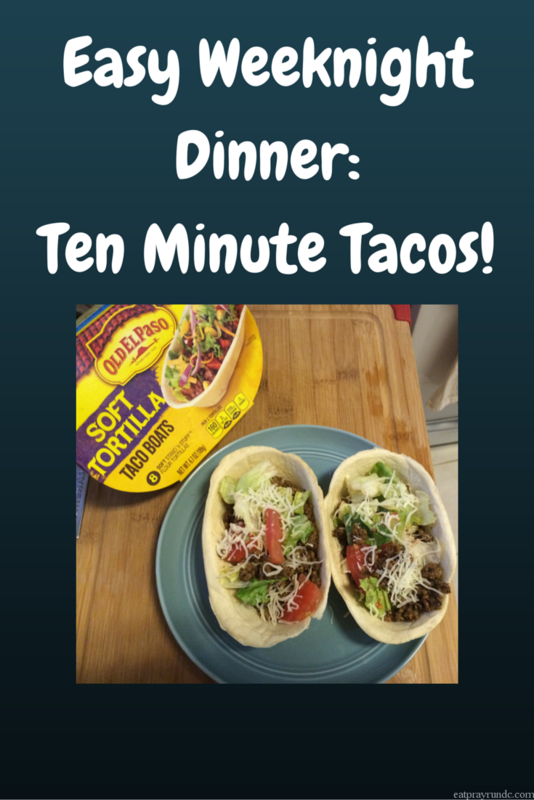 This is literally a ten minute meal – which is highly valued in our household! 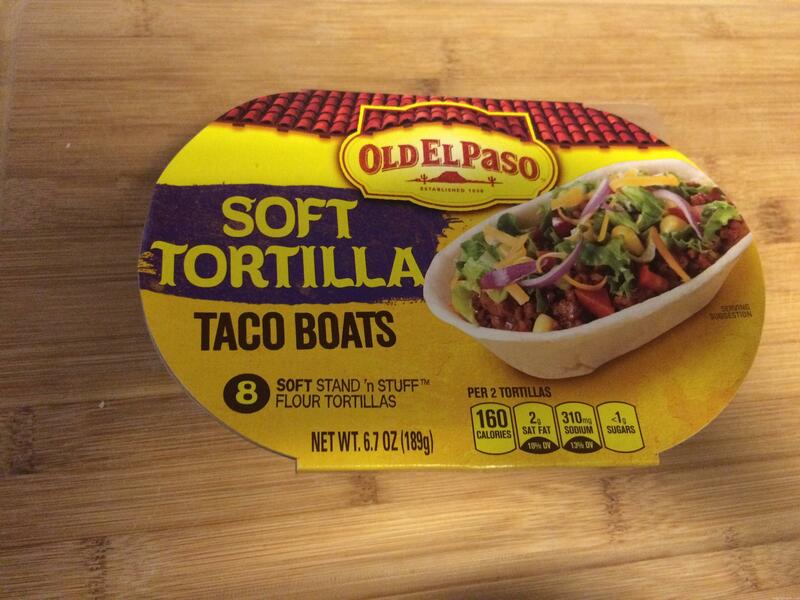 1 Package of Old El Paso Taco Boats – I bought the soft flour ones at my local Safeway and used 4 of the 8 taco boats since I was cooking for two – which means we’re getting two meals out of just one package of the Old El Paso Taco Boats. Score! Ground meat of your choice – we actually didn’t use meat, we used plant protein instead. Depending on what you choose to use here you may want to pick up some Old El Paso taco seasoning. Our plant protein came pre-seasoned so we were all set, but if you are just using ground beef, go ahead and sprinkle some yummy taco seasoning on the ground beef. Shredded lettuce, shredded mozzarella cheese and diced tomatoes – about four handfuls of each. That’s it! I told you these ten minute tacos were pretty simple. They are also simply delicious, but you probably figured that out by now because we don’t do bland or blah food in our house. Once you have all your ingredients together, the next few steps are super simple! I like my tacos a bit warm, so I heated the taco boats up in the oven – you can do that or pop them in the microwave for warm tacos. If you want to heat them up, just pop them in the oven at 325 degrees for about 5 minutes. While the tacos were warming up, I warmed up my ground plant protein. The timing of this was perfect. By the time my “fake” ground beef was ready, the taco boats were warm and hot and ready to fill. Fill your tacos! 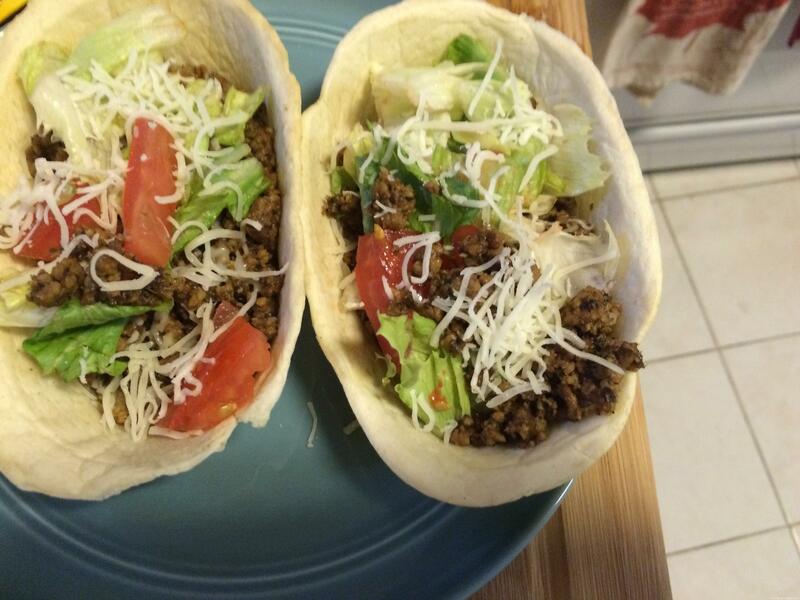 I started with the “ground beef” and then did cheese (so it would get a bit melty – yum! ), lettuce and the tomatoes. I drizzled just a tiny bit of olive oil over it all and dug in. So how were my ten minute Old El Paso tacos? Delicious. Tasty and quick and a perfect weeknight meal! Another neat thing about Old El Paso products is that you can support your local school through Box Tops for Education. I remember always clipping Box Tops as a kid, and I’m happy to know that the program is still going strong today! Only Box Tops For Education registered schools can redeem Box Tops. Each Box Top is worth 10 cents to redeeming school. Limit $20,000 per school, per school year for Box Tops redeemed through the Clip Program. See www.boxtops4education.com for program details. What is your favorite easy weeknight dinner? Have you ever tried the Old El Paso Taco Boats?